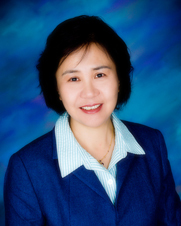 Owner of Ming’s Acupuncture; formally trained in China, graduated as an M.D. and an O.M.D., and has over 30 years of clinical practice experience. While studying western medicine at the Harbin Medical University, Dr. Ani questioned the techniques of modern western medicine, and thought that there must be a better way for patients to reach their full potential and well-being.After graduation in 1982, she practiced western medicine for several years and then decided to go back to school and studied Acupuncture & Oriental Medicine at the Chinese medical school. She has been practicing acupuncture and oriental medicine ever since her graduation in 1991. In 2001, she came to Los Angeles and was certified to practice acupuncture in the United States. She opened her first acupuncture clinic in Fullerton, CA in 2002 and her second acupuncture clinic in Torrance, CA in 2009. In her approach to healthcare, Dr. Ani focuses on restoring balance to the body and helping patients heal themselves.